Nathan Ruegger is an award-winning writer/director of popcorn thrillers. Raised in L.A. by an actress and a writer/producer, Nathan has been surrounded by filmmaking his whole life. 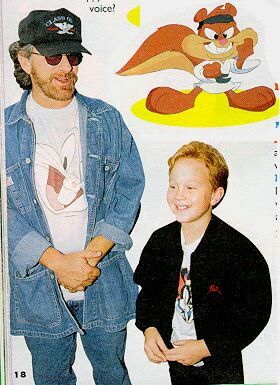 At the age of 7, he worked with Steven Spielberg as a voice actor on the Emmy-winning series Tiny Toon Adventures and from there... he was hooked. Nathan Ruegger graduated Dartmouth College with high honors in Film Studies, the Dartmouth Film Award, and acceptance into USC's School of Cinematic Arts. While at USC, Nathan was a finalist for the Coca-Cola Refreshing Filmmaker's Award and wrote two feature screenplays, which lead to winning Second Round at the Austin Screenwriting Competition, Quarter-Finalist at the Big Bear Lake Screenwriting Competition, Finalist at the Page Int'l Screenwriting Awards, and a feature writing assignment for an established producer. Another Life won the Gold for Best Original Dramatic Short at the Houston International Film Festival, the Jury Selection Award at the Lady Filmmakers Film Festival, the Award of Merit at the Accolade Competition, and Official Selection for 12 Film Festivals including the Newport Beach Film Festival, the Rome International Film Festival, and the Temecula Valley International Film Festival. Today, Nathan is writing an ultra-low-budget thriller for his directorial debut -- and always looking for more writing work. Feel free to visit his official website here.